Purchase Nerium AD as a Preferred Customer and save on every Nerium AD Purchase! We are so sure you will love the real results of Nerium AD, we would like to invite you to become a Nerium International Preferred Customer. You will immediately begin to save on product purchases with the Nerium Auto-Delivery Order program and continue to receive your product every month — at the lowest price available. Preferred customers are able to change or cancel the Nerium Auto-Delivery at any time! Purchase Nerium as a preferred customer and you will continue to receive the best pricing available! T he new revolutionary, multifunctional Nerium Eye Serum targets puffiness, dark circles and wrinkles to reveal smoother, healthier-looking skin around your eye. The exclusive Eye Serum also brightens, tightens and moisturizes the skin around the eye area. 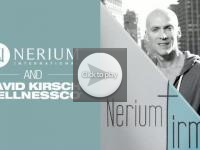 Purchase all three of the Nerium AD products, at an unbeatable price! 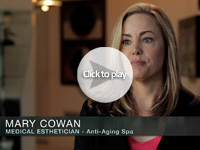 Nerium Age-Defying Night and Day Creams, Nerium AD® Formula provide 24 hours of anti aging skincare. Nerium AD Firming Body Contour Cream, the Nerium AD Formula that targets problem areas including the stomach, the thighs, love handle sand your upper arms. 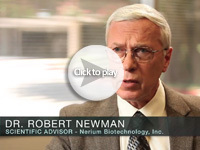 Each Nerium AD product features the exclusive proprietary NAE-8® extract. Regular retail value is $310.00 Purchase and save $126.00! Experience Nerium’s night and day difference and buy the Nerium AD ultimate anti aging skincare system. Nerium AD Age-Defying Night Cream and Nerium AD Age-Defying Day Cream both products featuring the powerful, NAE-8® extract. Get all the benefits of both products in one purchase! Regular retail value is $190.00 purchase and save $50.00! Nerium AD Formula Age-Defying Night Cream (2-Pack) – $162.00Nerium AD a powerful, clinically proven exclusive formula reduces the appearance of fine lines, wrinkles, discoloration, uneven texture, enlarged pores, and aging, loose skin. The Nerium AD anti aging night cream contains the most concentrated, powerful form of the Nerium proprietary NAE-8® extract. The Nerium AD is to be applied at night when your skin is in the rest and repair cycle. Regular retail value $240 Buy Nerium AD (2-Pack) and save $78.00! Nerium AD a powerful, clinically proven exclusive formula reduces the appearance of fine lines, wrinkles, discoloration, uneven texture, enlarged pores, and aging, loose skin. The Nerium AD anti aging night cream contains the most concentrated, powerful form of the Nerium proprietary NAE-8® extract. The Nerium AD is to be applied at night when your skin is in the rest and repair cycle. Regular retail value $120 purchase and save $30! Developed using the patented (NAE-8) extract, which contains antioxidant properties as well as five other key ingredients. NeriumAD body Contour Cream is clinically tested and proven to be a revolutionary body cream. NeriumAD Firming Cream is formulated to reduce the appearance of cellulite, and help smooth, tighten, firm and tone problem areas for sleeker, more youthful-looking skin. Regular retail value $120 buy now and save $30 off of the retail purchase price! Nerium AD Formula Firming Body Contour Cream (2-Pack) – $162 Developed using the patented (NAE-8) extract, which contains antioxidant properties as well as five other key ingredients. Nerium AD Firming Cream is formulated to reduce the appearance of cellulite, and help smooth, tighten, firm and tone problem areas for sleeker, more youthful-looking skin. Buy Nerium AD Firming Cream (2-Pack) and save $78.00 off of retail purchase price of $240.00! Nerium AD Night – 30 ml/1 fl. oz. 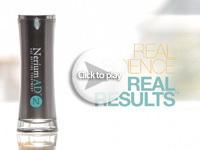 | Nerium AD Day – 30 ml/1 fl. oz. Nerium AD Firming – 200 ml/6.7 fl. oz. As a Preferred Customer, you are also eligible to participate in our 3UR Free program. Simply refer three (3) other Preferred Customers, and your next month’s Nerium AD Age-Defying Treatment is free!